Finally, after a month of wait I received my The Ordinary by Deciem order. And I am super excited about it. 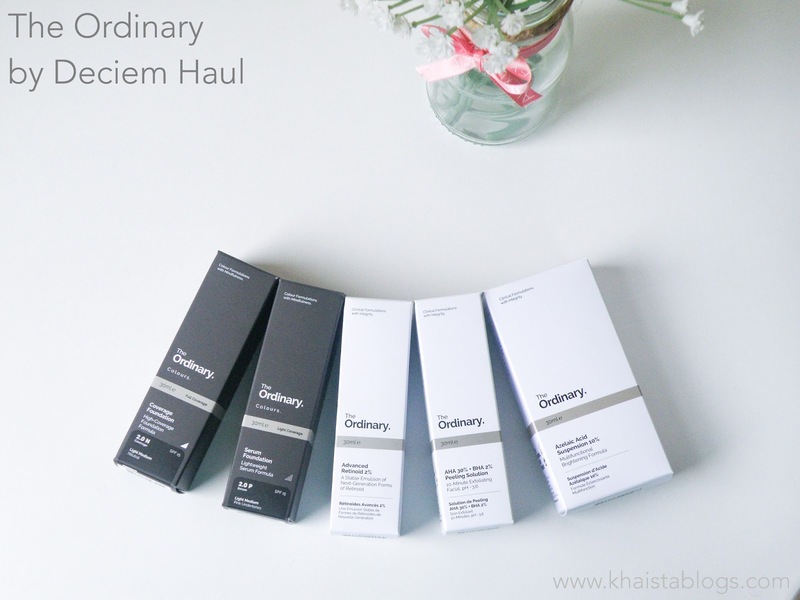 If you are not aware of The Ordinary brand then I will must ask, where have you been all this time? Deciem is not a new company. They have many mid-range skincare and haircare brands. 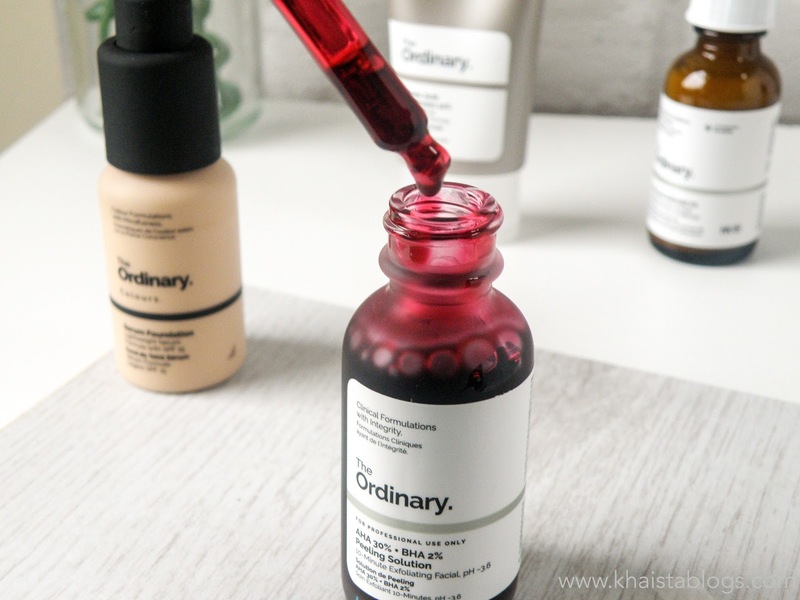 But they got a spotlight last year when Deciem launched The Ordinary – an affordable skincare brand. When I say affordable, I mean cheap as a chips brand. Not that you will get all product for a £ but other than one, all products are under £10. So, it is a super budget friendly brand. But this is not the end of the story. In fact, it is a start of something very incredible. 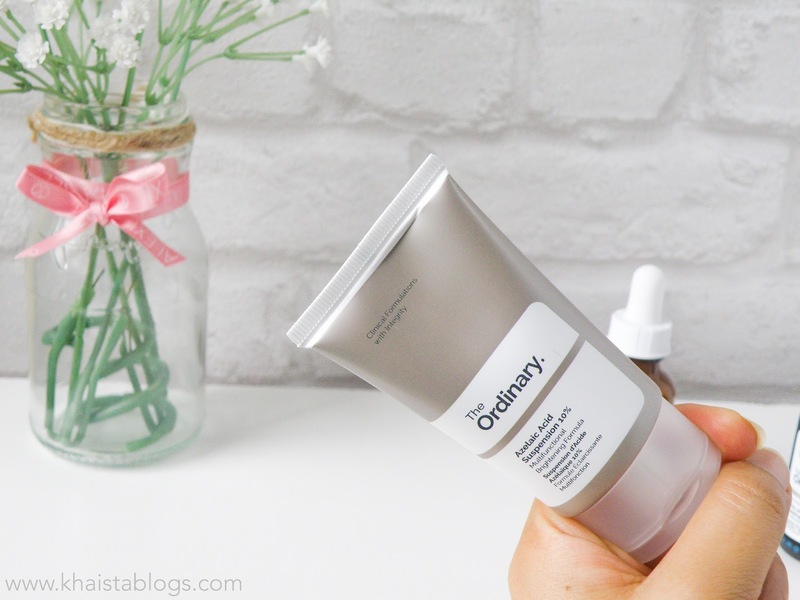 The Ordinary range offers high quality products made with potent ingredients at the price of high-street brands. In most cases, even cheaper than them. I was planning to get few of products for so long but recently they added foundations to the line and I thought it as a perfect opportunity to get few products and see are they worthy enough? Let's give you a run down what I purchased and why. This was the first product which attracted me the most towards the brand. I have used Azelaic acid based products in the past. 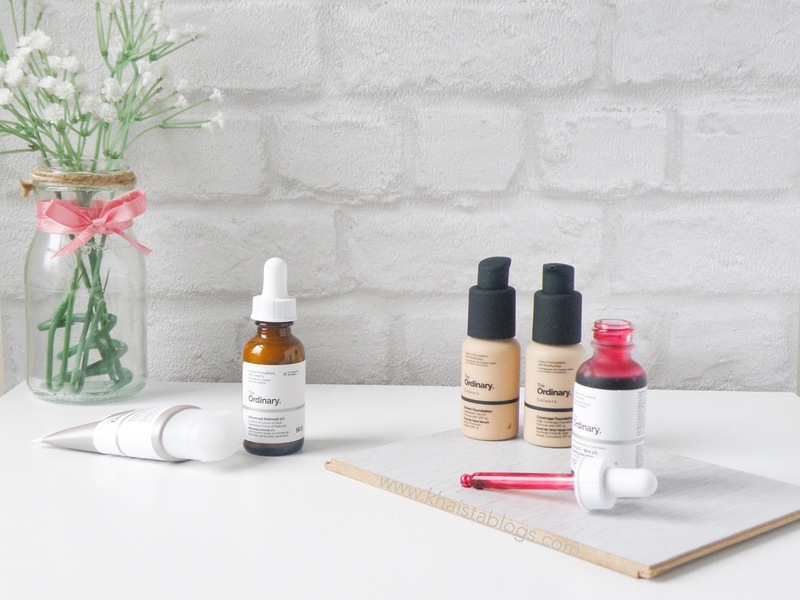 I have pigmentation issues on my face and Azelaic acid works in a very gentle way to brighten the complexion and keeping the pigmentation at bay. Over the counter products containing Azelaic acid are not very common and which ever are available, they are expensive. While The Ordinary azelaic acid suspension costed me £5.50 for 30 ml. For last few years I have been loving chemical peel and preferring it over physical exfoliators. Chemical peel is an intense exfoliation but also doesn't harm skin if use with proper care. Glycolic acid is a staple in my skincare. It is combination of glycolic acid, lactic acid and salicylic acid. A 30ml bottle retails for £6.30. Anti-aging products can cost an arm and a leg if you want decent results. However, this only costed £8 for 30 ml bottle and it has pipette too. I tried many products over the years. I didn't talk about them on my blog because those products come with high price tag and when you spend money you want to see results immediately. It doesn't happen very often. You must keep buying those products and use them for at least four months to see the actual results. It is an expensive and tiring journey. That's why I didn't stick to one product for long. Always deviate to find something new which can provide quick and effective results. Hence no recommendations from my side. I have high hope for advanced retinoids though. I will update in future about its performance but it will take time for sure. When I placed my order, I received an email after a couple of days from Deciem that my order will be delayed due to high demand of foundations. I thought okay, I can wait for another two, three days. But the wait was for 30 days. I saw on their website that they were out of pumps for bottles. I don't know why but I laughed so hard. For some reason, I found it amusing. I am a simple girl you know. Anyways, I got two foundations *to get a free shipping*. One serum foundation, 30ml for £5.70, and one coverage foundation, 30ml for £5.90. I have no idea what to expect from them but they are quite economical in comparison to many high-street foundations so there is nothing much at stake. I will be reviewing all these products on my blog very soon, so visit this place to be updated. Foundations review will be sooner than you think however, skincare products will take sometime for me to gather my thoughts. 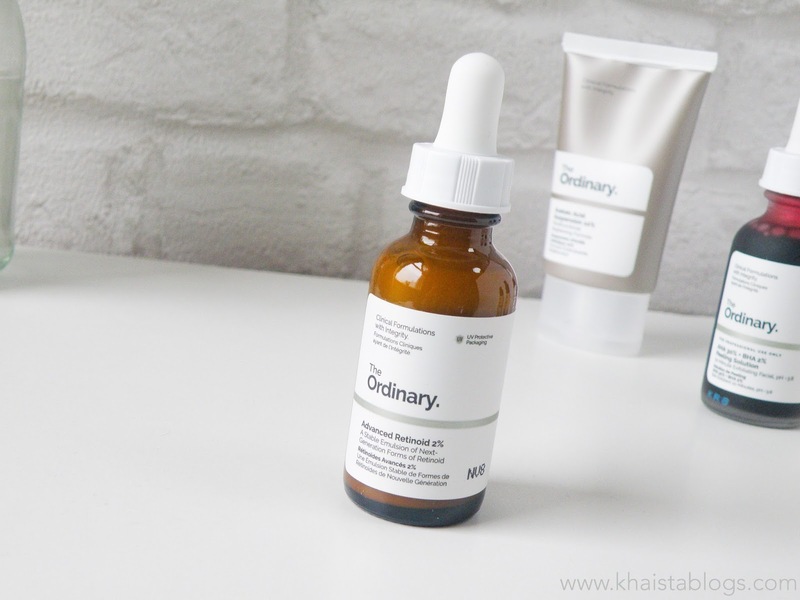 The Ordinary range is quiet extensive and you can find many other direct acids, vitamins, hydrators and oils on their website. I hope you enjoyed my haul post. Leave your comments and tell me what you will get from the brand, if any? I am seeing reviews of this brand everywhere at the moment! I have tried their photo finish primer and I have to say I adore it - makes my skin look flawless! Oh wow how awesome that everything is under £10 I am most definitely going to have to try some of these products out as I really need to find affordable items I can keep buying to look after my skin. These look like beautiful products, I'll look forward to reading your review when it goes live. The Peeling Solution looks amazing in that bottle with that colour, I'd love to try it. I haven't heard of this before, but I love that everything is under £10. A proper bargain. I haven't seen this brand before, great range of products, affordable too! These look like some fab products - I may have to give them a try as they're quite affordable too! I used Deciem when they first came out and thought it was pretty good. I love their new labeling though and would love to try it again! So many products to try on. I will look forward on your honest reviews. I might consider this since its the price is affordable. I swear by The Ordinary these days! I am actually waiting for the serum foundation to come back in stock to put a new order through but it's getting harder everyday as I'm running out of my beloved Hyaluronic Acid and Vitamin C! I have been eyeing these skin care products too but it always comes down to international shipping. Would love to read your reviews on them. I seriously didn't know anything about the constituent of beauty products. This is such a great insight. 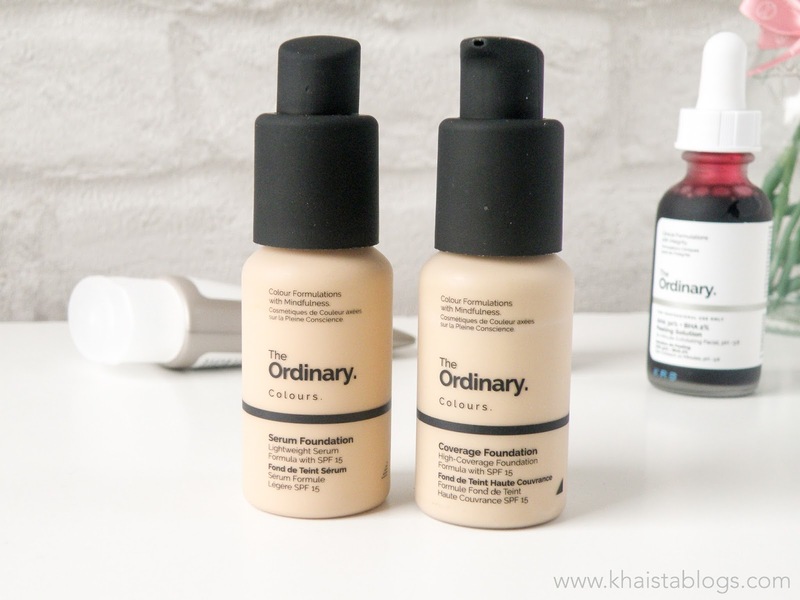 I've heard great things about The Ordinary and I didn't know it was so affordable. OMG OMG i cant believe you got ur hands on them. They have sucha long waiting list. Iam so looking forward to your reviews.